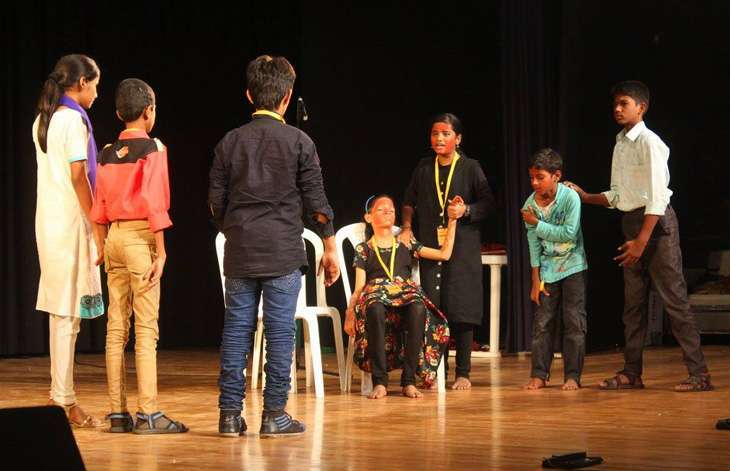 A small theatre collective helmed by two teachers is quietly making an impact on the lives of hundreds of underprivileged children. 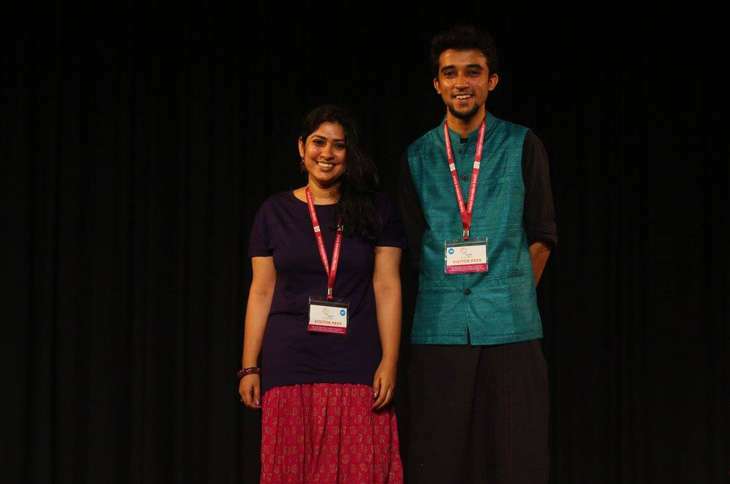 Teach For India Fellows Soumya Kavi and Prasanth Nori wanted to instil a bit of drive and a lot of tenacity in young students from poverty-ridden backgrounds - hence was born Dramebaaz. A Dramebaaz member had this to say about the group: "The essence of Dramebaaz, an initiative by Soumya Kavi and Prasanth Nori is to #SayitWithDrama. Life skills like collaboration, confidence, problem-solving and self-esteem, the skills which demand to be instilled in an individual to function logically, are the important areas on which Dramebaaz focuses." The group has already staged a number of productions in Hyderabad and is set to take on a bigger role in the future - in places like Bangalore, Pune, Mumbai and beyond. 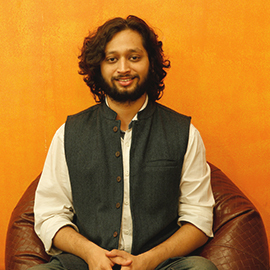 In an interview with Catch, co-founder Soumya Kavi talks about the idea behind Dramebaaz, what the future might hold for the theatre group and how the teachers have learnt from the students as much as the other way around. What's your approach to theatre like? How much of the production process are the children involved with? Our approach to theatre falls into four important brackets: Script writing, script reading, rehearsal, and showcase. From pioneering their own stories with imagination and immense creativity to playing it out, detailing it and comprehending traits, from gaining perspectives to drawing out a character with careful planning, the children do it all with appropriate and more-than-qualified training and guidance. When did the idea to form Dramebaaz come to you and how did you go about developing it? The idea of Dramebaaz came to us when we were teaching fellows in Teach for India Hyderabad. At that time, I was teaching students from the third grade and none of the kids knew the alphabet. So I started using theatre to increase their interest in academics. It worked wonders and the learning levels of all kids started improving as their interest in reading comprehension increased. They were now interested and capable of understanding and analyzing skills like compare and contrast and cause and effect which are critical to theatre. Prasanth, on the other hand, taught students (third grade) in a religiously volatile community - he was using theatre to build non violence and empathy in children. He noticed that the children were becoming more sensitive to others' perspectives and working in collaboration with classmates to arrive at peaceful solutions to daily conflicts. Seeing how the results played out in our classrooms, we were curious to learn what the impact could be in classrooms across the city. We researched about theatre in education, spoke to different stakeholders in the education sector and eventually created a framework for teachers to bring the joy of theatre into classrooms. Where/ when did you stage the first production and how was that experience? 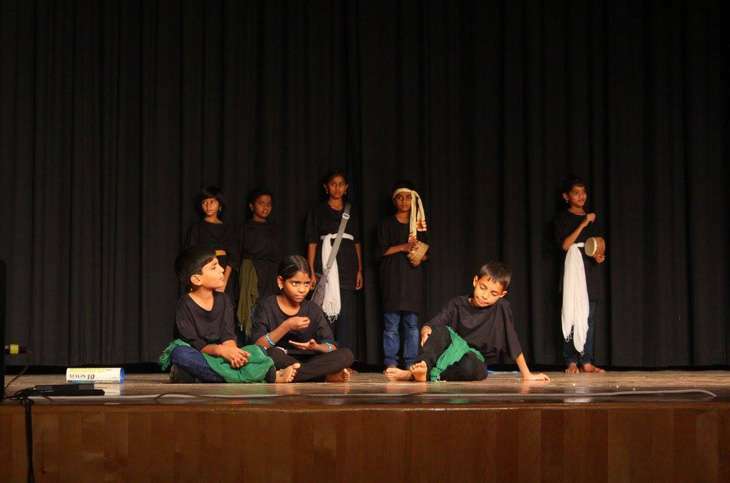 The first production was staged at Oakridge International School Hyderabad on 13 December, 2015. Fifteen teams had participated in the theatre festival. Each of them performed 10 minute plays on issues ranging from religious violence, child labour, and cleanliness to gender discrimination. It was an amazing experience to see 150 kids go on stage and showcase their stories. It was humbling to see the kids grow from shy participants to creative and confident actors. None of the kids hesitated to go on stage. We were pleased to see the parents, teachers and school leaders feel proud and thoroughly enjoy the plays. How did you select the children who, I'm assuming, did not have any performance experience at all? All the children came from underprivileged communities and did not have any experience in performing arts. The selection criteria were different for different classrooms. It was left to the teacher's discretion. Some of the teachers used this opportunity to encourage the shy kids in the classrooms; some gave this opportunity to students who had shown improvement in the classroom, while some wanted to boost the existing talent of the children and selected those who had an affinity to acting. What were the reactions of the children like when you first approached them? Any major inhibitions you had to deal with or were they very forthcoming? The children were extremely excited to be a part of something new. They were eager to act and be in the spotlight. The inhibitions we faced came from the other stakeholders who at first were apprehensive of the use of theatre in classrooms. The school saw it as a distraction from the mainstream subjects while the parents thought it was a waste of the students' time. Reluctantly, they agreed to the program being conducted in the school. But soon, during the course of the program, they noticed the increase in the students' confidence in expressing their thoughts and opinions and academic achievements. Who decides the script/direction and other aspects of a play? The curriculum of the programme empowers the students with tools like Design Thinking and Participatory Theatre which helps the students to write their scripts based on the issues that surround them on a daily basis. Last year, we saw students tackle issues of road safety, hypocrisy of society, lack of clean water etc in their plays because these were the issues they faced on a daily basis. The curriculum provided to the trainers covers the technical aspects. How do you explore, theatrically, sensitive issues - such as sexual violence for example, with the kids? There's a certain sanctity about a child's world that, as adults, we can never enter. The beauty of our programme is that the issues we approach are only those issues that the children see as relevant. Have you approached anyone for sponsorship or financial help? What does the revenue model look like for the future? When we started building our operating model last year, we spoke to as many people as possible as part of our initial planning. We tried our best to understand the space, consulted a diverse set of professionals and representatives of all related stakeholders in education. Last year, we were dependent on crowd sourcing and sponsorship to run the program - not always sustainable sources of revenue. So we need to get creative about generating income. Currently, we are looking to expand our sources of income to minimal student fees, franchising, consulting services from crowd sourcing and sponsorship. We are also looking for incubators or funders who can support the cause to make it sustainable and scalable. A social enterprise cannot create any impact if it is not financially viable. How has Dramebaaz and the experience of working with the kids, changed your perspective about the education system we have in the country? Dramebaaz and our experience at TFI have made us believe in the fundamental idea that all of us are equal and that all of us have the need to tell our story, communicate and express ourselves. This thought of letting the world know what we're feeling, slowly dies down when children are asked to remain silent and "listen" in the classroom. How are you planning to scale up the scope of Dramebaaz in future? We have a vision that children everywhere will be creative, confident and fearless agents of social change who will cease to be bystanders and start to drive the transformation of the world around us. With a mission to enable 1,00,000 students by 2025, we want to build a sustainable social enterprise that can scale the moment we have the resources to help us achieve this goal.